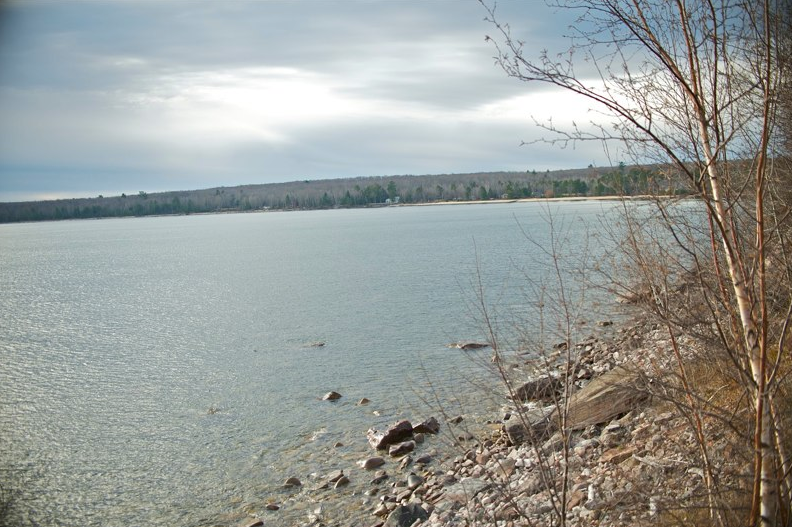 All of our cabins are situated right on the shore of Shelter Bay (Lake Superior) in Au Train, Michigan. When you wake up in the morning it’s a stunning view of the water without even leaving your bed. The plentiful ceiling to floor windows provide maximum viewing pleasure. There are small trails surrounding the cabins with moss covered boulders, benches to watch the sunset from, and wildlife everywhere you look. It’s quiet and secluded and nature is always changing depending on the seasons.